5 matkustajaa tekivät varauksen tänään. Onko sinulla kysymys kohteelle Dorsett Wanchai Hong Kong (Dorsett Wanchai Hong Kong)? Dorsett Wanchai Hong Kong ihastuttavalla Wanchai -nimisellä alueella sijaitsee keskeisellä paikalla matkasi määränpään ollessa Hong Kong ja matkan tarkoituksen ravintolat, shoppailu, yöelämä. Tämä majapaikka sijaitsee 1. Km päässä keskustasta tarjoten kätevän pääsyn kaupungin tärkeisiin kohteisiin. Sijaintinsa vuoksi majapaikalta on helppo pääsy kaupungin pakollisille nähtävyyksille. Dorsett Wanchai Hong Kong tarjoaa asiakkailleen ylivertaista palvelua ja laajan valikoiman mukavuuksia. Näin se on sitoutunut varmistamaan, että vierailusi sujuu mahdollisimman mukavasti. Vieraat voivat nauttia mukavuuksista paikan päällä, ilmainen WiFi joka huoneessa, 24h vastaanotto, liikuntaesteisten palvelut , säilytys matkatavaroille, WiFi yleisissä tiloissa sekä monet muut näihin lukeutuen. Majapaikan tilat on huolellisesti suunniteltu mukavuuden ja käytännöllisyyden maksimoimiseksi, ja osasta huoneita löydätkin seuraavat mukavuudet: taulu-tv, kokolattiamatto, maksuton pikakahvi, maksuton tee, vuodevaatteet. Majapaikan vapaa-ajan aktiviteettien valikoima takaa, ettei tekeminen lopu kesken. Oli Hong Kong määränpäänäsi sitten mistä tahansa syystä, Dorsett Wanchai Hong Kong on täydellinen näyttämö riemastuttavalle ja jännittävälle tauolle arjesta. Majoituspaikka tarjoaa shuttle-palvelun lähialueille. Ota yhteys majoituspaikkaan lisätietoja varten. Guest Name/ Add Guest Name amendment are not allowed on all confirmed reservation. Once reservation is confirmed, any guest name change or add guest name request, please contact hotel directly to seek for advice. Minukset ensin, wlan/internet saisi kuulua nykyisin varustukseen. Nyt huoneessa hinta 3.5€/tunti, aulassa sentään ilmainen. Kokeilin kerran illallista, hyvää oli mutta 30€ oli liikaa. Muuten suosittelen, siisti hotelli, ystävällinen henkilökunta, Happy Valleyn laukkarata kadun toisella puolella ja Times Squarelle kävelee n. 10min. Underrated hotel that deserve more love. The bad thing is that the location is a bit far from amenities, but the hotel room is very good compared to other hotels at Hong Kong. The place also have good value for money, even serving breakfast! Dear David, Thank you for your comments. We are glad to hear that you enjoyed your stay with us. 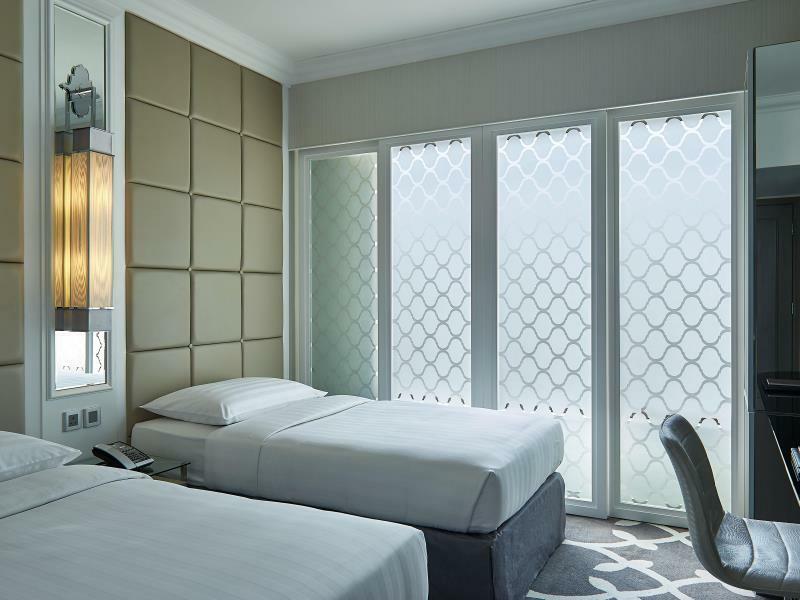 Dorsett Wanchai, Hong Kong is located amid Wanchai and Causeway Bay where the closest MTR station as well as numerous shopping and dining options are just in minutes of walk. In the future we will continue providing the best stay experience to all guests in Dorsett Wanchai, Hong Kong. We look forward to welcoming you back to our hotel soon. Pros: 1. The location is great. The tram station & the bus station are within short walking distance. 2. Great service. The Front Office staffs helped us getting taxi, politely answering my questions, check-in & check-out were swift. Also after we checked out & wanted to take a taxi to airport, the staff confirmed the taxi rates so we would know how much money we should pay. 3. Room rates were OK for us (good value of money, comparing the price with the room size). 4. Complete room amenities. 5. Very nice interior & decorations. 6. The warm/hot water & the shower pressure in the bathroom were excellent. 7. Excellent view of Happy Valley from Room 1209. 8. Very nice smell at the lobby. Cons: 1. We stayed in Room 1209 & 1217. Both were quad rooms, but we found the room size was a bit tight even for us (Indonesians with average-small bodies). Each family brought 3 big suitcases, and we found it was a bit difficult to arrange them to fit in our room(s). 2. The space between the bed & the wardrobe was too narrow. We had to walk sideways to reach it. 3. The corner of the room (between the other bed & the window) was dusty (I didn't intend to vigilantly check everything, but I happened to notice it when I tried to pick up my son's toy there). 4. The shower space was small, even for us (Indonesians). 5. We only got 1 teddy bear for each room. I noticed in TripAdvisor & Agoda, the photos of the quad room showed there are a box of chocolate & candy and a small doll house or cupboard with children books, indicating we would get those facilities. Also the room in the photos looked larger than the actual one. Apparently not.. 6. In front of Room 1209 was the housekeeping staff room (?). We could hear their conversation when they talked loudly. 7. The fridge door in Room 1209 couldn't be closed properly. 8. No door bell, I had to bang the door to get my husband opened the door for me. As conclusion, we were happy enough when we stayed there. Thank you, Dorsett Wanchai. Great place to stay. Clean + friendly staff + free portable WIFI! But if you are travelling with young kids, is abit inconvenient as there's no convenient store near the hotel. Gotta walk around 10 mins to the nearest 7-11. Dear Valued Guest, Thank you for your comments. We are glad to hear that you enjoyed your stay with us and appreciated our staff and services. In the future we will continue providing the best stay experience to all guests in Dorsett Wanchai, Hong Kong. Look forward to welcoming you back to our hotel soon. I have stayed at this hotel numbers times, I find it well located, walking distance to places I enjoy. The room are good size for Hong Hong. The Shower is amazing. high water pressure and it's worth the stay for the shower alone. I will always try to stay in this hotel. I recommend it completely. Dear Valued Guest, Thank you for your comments. We are delighted to hear that you enjoyed your stay with us and appreciated our location and amenities. In the future we will continue providing the best stay experience to all guests in Dorsett Wanchai, Hong Kong. Look forward to 3welcomiong you back to our hotel soon. This hotel is simply wonderful. I booked their Deluxe Family Quad for a family of 5 and it was just perfect for us. It is rare to find a 4 to 5 star hotel in Hong Kong that would accomodate 5 people in 1 room. But this hotel does. We were provided 2 Queen beds and 1 extra roll away bed. Beds were clean and very compfy. We slept very well. The free Wifi room connection is very fast. Buffet breakfast was superb and delicious. Attentive, helpful and very courteous hotel staff. Our room was cleaned daily. Though the location was quite a distance to the nearest mtr station but they provide you with free hotel shuttle rides. So there was never an issue with distance and location. I will definitely stay again in this hotel. Dear Guest, Thank you for your comments. We are delighted to hear that you had a great stay with us. 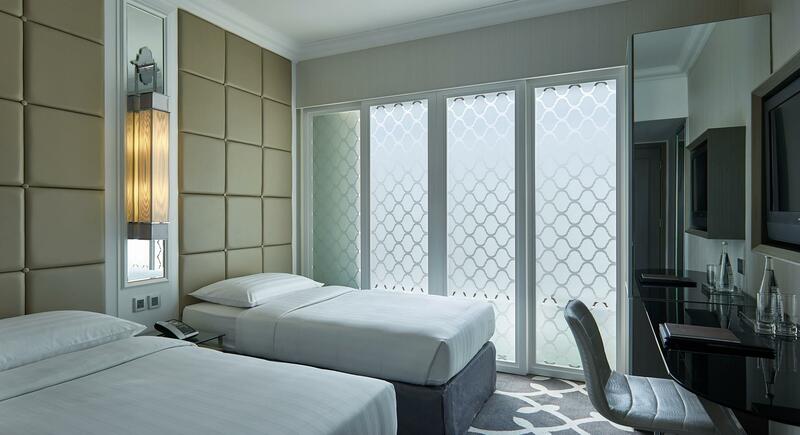 In the future we will continue providing the best stay experience to all guests in Dorsett Wanchai, Hong Kong. Look forward to welcoming you back to our hotel soon. Dear Valued Guest, Thank you for your comments. We are delighted to hear that you enjoyed your stay with us and appreciated our location and services. Thank you again for visiting and we look forward to welcoming you back to our hotel soon. Very short stay, therefore, good hotel in good location easy to reach and move. Dear Andreas, Thank you for your comments. We are glad to hear that you enjoyed your stay with us. In the future we will continue providing the best stay experience to all guests in Dorsett Wanchai, Hong Kong. We look forward to welcoming you back to our hotel soon. 1. room is ok but very very small. 2. window is matte and facing the graveyard 3. When we checked in and asked for a room at higher floor, front desk told us all rooms were booked and gave us a very very small tiny room on 2nd floor. But later when our friends checked in and asked for the same thing, they were moved up to higher floor. Dear Valued Guest, Thank you for your comments. We regret to hear that your stay did not meet your expectation this time. 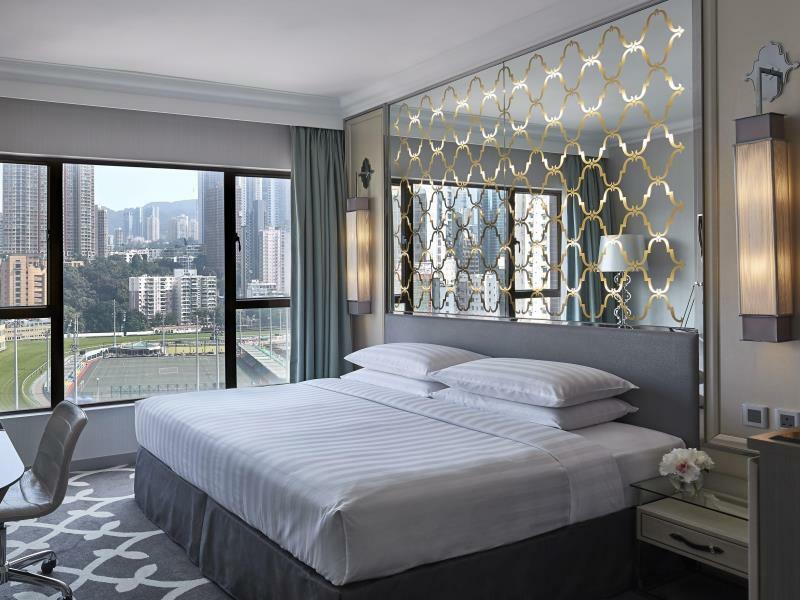 Dorsett Wanchai, Hong Kong is located amid Wanchai and Causeway Bay where the closest MTR station as well as numerous shopping and dining options are just in minutes of walk. We’d appreciate your understanding that the room type you requested might not be available at that moment. We apologize for any inconvenience caused. On your next visit, you may try out our other room types that measure up to 48 sq. m with amazing racecourse or Causeway Bay city view for more spacious and comfortable stay. 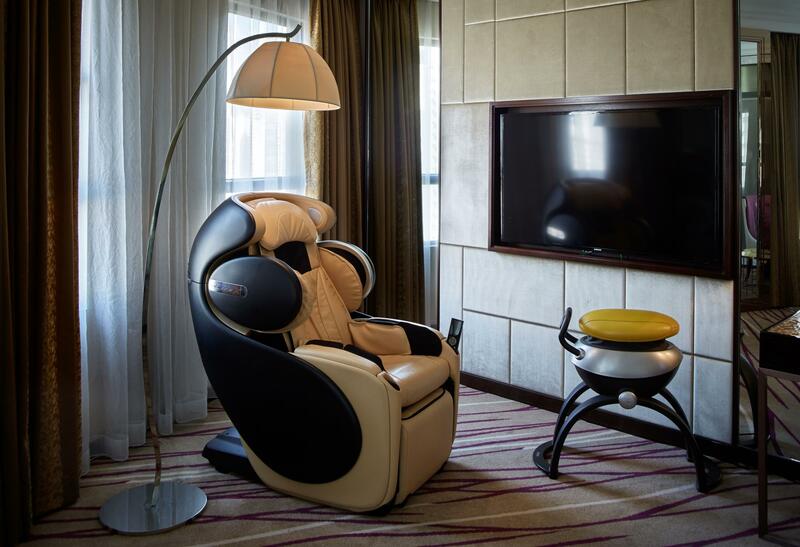 In the future we will continue providing the best stay experience to all guests in Dorsett Wanchai, Hong Kong. Look forward to welcoming you back to our hotel soon. We are 5 members of family. All adults. It was perfect for us. There is not many hotel has family rooms in Hongkong. I searched so many hotels and then found Dorsett Wanchai. It was so nice. Not only for the family room. The staffs are kind and helpful. The room was clean. We had 1 queen, 2 super single beds. It was enough place for 5 of us. Breakfast was 105HKD per person with 50% off coupons hotel offered us. Breakfast was not amazing but ok. Basic buffet with egg station. It was pleasant staying. I’d definitely recommend to friends and family. Dear Guest, Thank you for your comments. We are delighted to hear that you had a great stay with us. Your comments on the buffet items are well taken for our continuous improvement. In the future we will continue providing the best stay experience to all guests in Dorsett Wanchai, Hong Kong. Look forward to welcoming you back to our hotel soon. Waited 2 hours before we got our rooms despite being in there by w pm already. The front desk guys who assisted us weren't very accomodating. And despite our late. Check. In we were not able to avail. Of the late checkout. Dear Kyla, Thank you for your comments. We regret to hear that your stay did not meet your expectation this time. Please be assured that the services you encountered was not reflecting the standard of services we always strive to deliver. The concerned staff have already been reminded to ensure the best services are provided to all our guests. We apologize for any inconvenience caused. On your next visit, if you have any concern regarding your stay, please feel free to approach our Guest Services Manager for assistance. 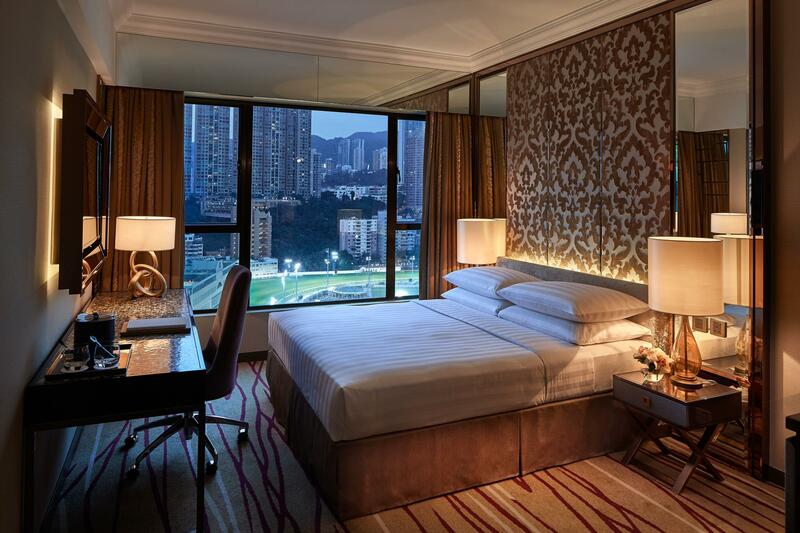 In the future we will continue providing the best stay experience to all guests in Dorsett Wanchai, Hong Kong. We look forward to welcoming you back to our hotel soon. i chose this hotel when i come to hong kong, good location and nice staff. Dear Ching, Thank you for your comments. We are glad to hear that you had a great stay with us and appreciated our location and services. 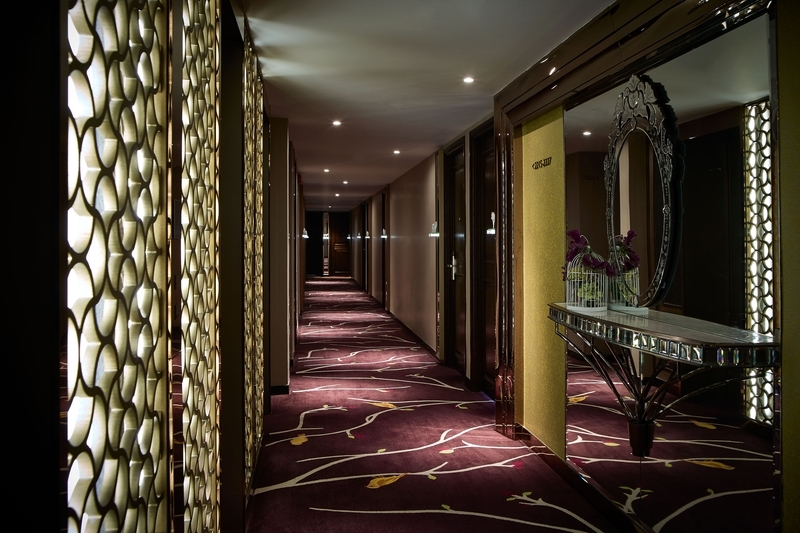 In the future we will continue providing the best stay experience to all guests in Dorsett Wanchai, Hong Kong. We look forward to welcoming you back to our hotel soon. Service was terrible, rooms are dated, it felt dirty. Dear Valued Guest, Thank you for your comments. We regret to hear that your stay did not meet your expectation this time. Please be assured that the services you encountered was not reflecting the standard of services we always strive to deliver. The concerned staff have already been reminded to ensure excellent hygiene condition of all guestrooms, and the best services are provided to all our guests. We apologize for any inconvenience caused. In the future we will continue providing the best stay experience to all guests in Dorsett Wanchai, Hong Kong. Look forward to welcomiong you back to our hotel soon. It is quite far from the MTR but everything else is so perfect! Dear Jatupat, Thank you for your comments. We are glad to hear that you enjoyed your stay with us. 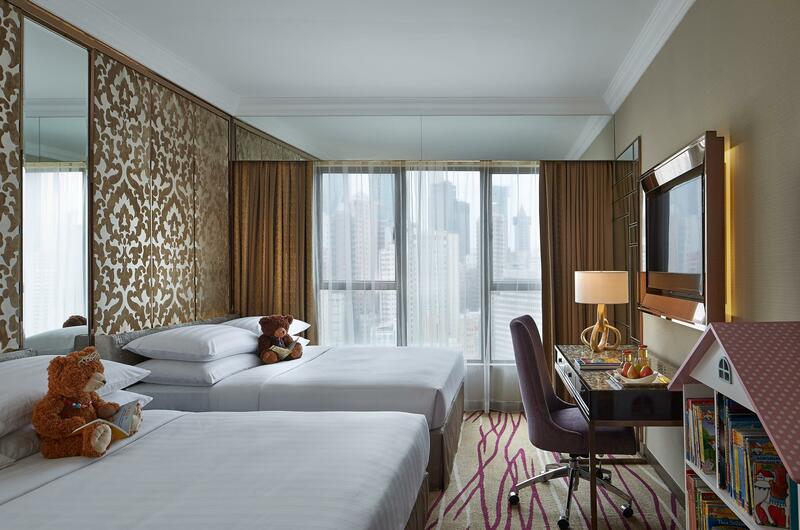 Dorsett Wanchai, Hong Kong is located amid Wanchai and Causeway Bay where the closest MTR station as well as numerous shopping and dining options are just in minutes of walk. On your next visit, you may make use of our free shuttle bus service that goes to 14 destinations. 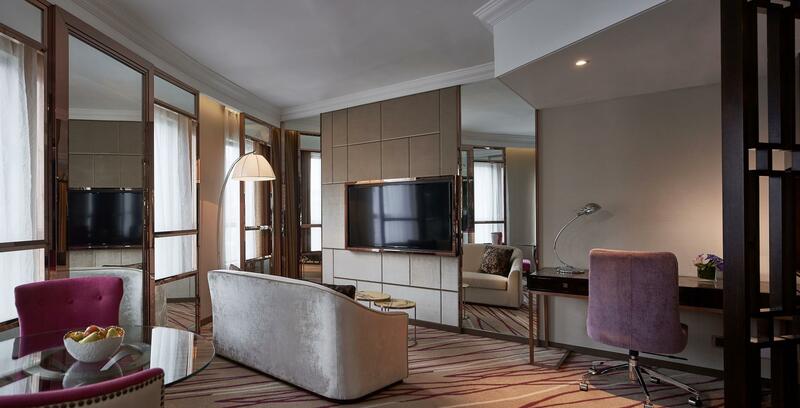 In the future we will continue providing the best stay experience to all guests in Dorsett Wanchai, Hong Kong. We look forward to welcoming you back to our hotel soon. Love this location, make sure you ask for a room facing the course. easy walk to Wan chai and Causeway Bay. Dear Simon, Thank you for your comments. We are happy to hear that you enjoyed your stay with us. In the future we will continue providing the best stay experience to all guests in Dorsett Wanchai, Hong Kong. Look forward to welcoming you back to our hotel soon. Dear Guest, Thank you for your comments. We are glad to hear that you enjoyed your stay with us. Your comments on the sound insulation issues are well taken, and you are recommended to try out our other room types that measure up to 48 sq. m with spacious bathtub and located on higher floors for more comfortable stay. In the future we will continue providing the best stay experience to all guests in Dorsett Wanchai, Hong Kong. Look forward to welcoming you back to our hotel soon. The front liner and concierge staffs was helpful and friendly, and the shuttle bus is so much convenience for us. But during my reservation, i was told by the reservation via email for special arrangement that there will be set up for our anniversary but unfortunately there is nothing for us upon our arrival. And the toilet wall with stain(probably coffee stain or vomit stain next to the WC). Dear Guest, Thank you for your comments. We are glad to hear that you had a great stay with us. Please be assured that the services you encountered was not reflecting the standard of services we always strive to deliver. The concerned staff have already been reminded to ensure excellent hygiene condition in all guest rooms, and that the best services to be provide to all our guests. We apologize for any inconvenience caused. In the future we will continue providing the best stay experience to all guests in Dorsett Wanchai, Hong Kong. Look forward to welcoming you back to our hotel soon. Dear Guest, Thank you for your comments. We are glad to hear that you enjoyed your stay with us and appreicated our location. On your next visit, you may try out our other room types that measure up to 48 sq. m with amazing racecourse or Causeway Bay city view for more spacious and comfortable stay. In the future we will continue providing the best stay experience to all guests in Dorsett Wanchai, Hong Kong. Look forward to welcoming you back to our hotel soon. Dear Dorsett Wan Chai I would like to extend my gratitude to your team during our stay in your esteemed hotel. It has brought to my surprise on the Shuttle Bus arrangement which had saved a lot of our money and time on transportation and filtering the great food nearby (we had followed your booklet provided). Secondly is I had left my hand phone on the shuttle bus and managed to get it back even the shuttle had left to pick up guest for next schedule. Kudos to your team on the great hospitality and service! Thank you! Dear Guest, Thank you for your comments. We are glad to hear that you had a great stay with us and appreicated our services. In the future we will continue providing the best stay experience to all guests in Dorsett Wanchai, Hong Kong. Look forward to welcoming you back to our hotel soon. Wan Chai MTR Station on 0.7 km.